Savvy small business owners are seeking personalised Xero training and embracing cloud software. They understand that Xero is the powerful tool required to run their business. The access to financial information on any device at any time empowers you to keep your finger on the pulse. Obtaining Xero training increases your knowledge and the accuracy of your numbers. Cashflow is king and what keeps a small business going. Clients paying you within your terms enables you to pay your suppliers when expected. This strengthens your reputation and relationships. It also reduces stress and wondering how you are going to pay your valuable employee’s wages. Xero makes it easy for small business owners to sign up to use their software. Their message is that the software is beautiful accounting software and easy to use. Account Aspects agrees with this message, but it comes with a clause. Xero is easy to use once you have sought Xero training and shown the fundamentals. We discuss these in our Blog 6 fundamental keys to bookkeeping success. Accounting rules are that there are always two sides to every transaction. You must keep this in mind when completing your bookkeeping. If I code this transaction, what else does it effect? Small business owner’s juggle many different tasks. Some of these are marketing, sales, business planning, human resources and accounting. Although going into business, you are aware of this, although it is often overwhelming. One on one personalised Xero training sessions set you up for success. Whether you are in start-up phase, been in business a few or a lot of years, training is for you. We tailor our training sessions to your specific business requirements. Savvy small business owners are seeking personalised Xero training and embracing cloud software. We start with the dashboard as it is where you land when opening your Xero file. When exploring the dashboard, you will uncover the functionality this page gives you. This page you can customise to give you more insights into your business. Using Xero day in and day out with many clients, we have picked up some tricks along the way. These tricks are small time saving clicks that improves your efficiency. These tips will give you that Ah-ha moment opening your eyes to the new ways of navigating through Xero. This feature is the game changer and the reason why many businesses have moved to Xero. The direct connection to your bank provides you with real-time data. Transactions from the day before land in your Xero file ready for reconciliation. This will show you when your clients have paid and what monies have come out of your bank. A greater understanding of the connection will give you more control of your cashflow. This is your invoice system. Through sales you can provide quotes, send invoices and reminders to your clients. We will show you how to create new invoices, repeating templates and to copy from previous invoices. Adding tracking to your business will provide more insights which we will discuss. This is your supplier invoices section. We recommend using this part of your software even if you are on a cash basis. When entering your purchases, you can keep a track of your supplier invoices and balance your supplier statements. Attaching electronic invoices to your purchases moves you closer to a paperless office. It will also help you manage your payments and ensure you don’t over pay. Relying on Xero and your systems rather than your memory will free you from your desk. Now you have all your paperwork and bookkeeping up to date, it’s time to see the value of your efforts. We will go through reports to check the growth of your business. Your results measured against your goals are what we strive you to continue in business. Every business is unique and have certain goals they are striving to achieve. We encourage you to come to your session with questions that you want answered. Working through your pain points with experts take you to the next level. Our office has a private boardroom where our personalised Xero training sessions are held. We link up to a TV within the room to give a better view of the computer. We encourage you to bring along your own device to test out some of the tips along the way. With the advancement of technology and Xero is cloud based, we are able to offer our training sessions remotely via an internet connection. This has allowed us to connect with business owners all around Australia delivering high quality expert Xero training. Attending one training session is a step in the right direction. You will walk away with new skills to test in your business. After the session, we encourage you to try out your new skills in your business. As you work in Xero, write down things you get stuck on. When leaving your initial session, remember to book your next training session. In this session, we will expand on your knowledge obtained and answer your questions. 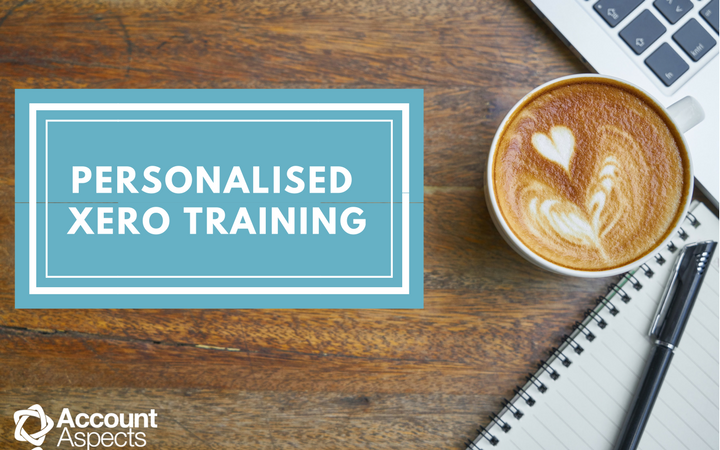 Contact us today for book information or to book your personalised Xero training session. Thank you for getting in contact. We will be happy to help you with some training. One of our staff will make contact with you. Yes, I agree with what you said. I think that cash is the king in business. I think that we should really know how to handle money practically. If the cash is not properly spend or handled the business will not grow or will fail. Thanks for sharing these article. Thanks for sharing this article. I also believe that cash is very important for the business to keep going. I think that it is important that we get the payment from the client on time or much better if earlier so that the business will achieve a positive cash flow. I agree with what you said. Xero is definitely one of the great tool that helps business owner like me to manage business. I’v been using this for 2 years now. I found it totally helpful. Xero is definitely one of the great tools I know. My friend recommended me this tool. I really like it and it really suit me and my business. Thanks for sharing this article. We love that you are finding Xero a great tool for your business. Helping small businesses like yourselves use the software efficiently to obtain the insights into your business is our passion. Thanks for sharing this article. I agree with what you said. I believe that when you have a good payer clients you will be able to have a good reputation as well to your supplier and other clients. Yes, I totally agree with what you said. I think that it is really important that we consult to professional so that we can get an advise and be more knowledgeable on how to improve more. I think that Xero is definitely helpful especially to business owners. I definitely find this article very helpful. Thanks for sharing this article.